Veterans First Point Ayrshire, a new support network for veterans across Ayrshire, has been launched with military precision by South Ayrshire’s Veterans Champion, Provost Winifred Sloan at Ayr Town Hall. Veterans First Point Ayrshire has been established to support veterans, their families and friends, to support servicemen and women whether they have just left the armed forces recently or years ago. 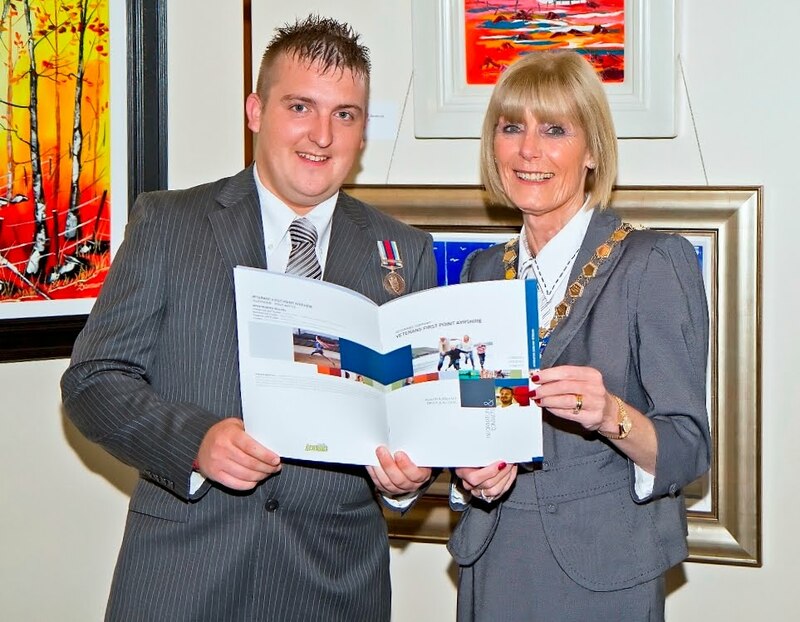 A booklet that was launched at the event was created to help veterans and their families. Containing information and contacts on housing, health and welfare, mental health, finance, careers and much more it quickly directs people to where they can get advice, guidance and support. Speaking at the event Provost Sloan said: “Today’s event reflects the hard work and dedication of a range of organisations who were determined to bring about the creation of Veterans First Point Ayrshire. “Veterans, their families and friends will now be able to access free advice, guidance and support that will help them when they leave the armed forces. No matter how long they have served in the armed forces. Our servicemen and women need and deserve support when they make the transition to civilian life and that support needs to be sustained for years to come. These people are willing to literally lay down their lives for their country and we have a responsibility to be there for them when they need it. 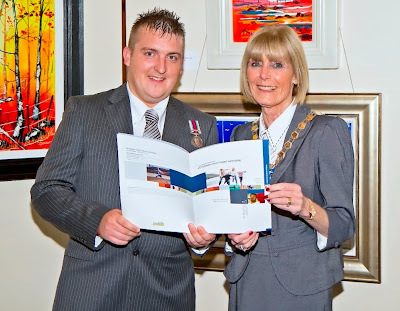 “The new Veterans First Point Ayrshire information booklet is just the start. Specially created and packed with information on who to contact for advice or guidance about a range of topics including finance, housing, health and employment the booklet is great, it will be invaluable to veterans, their families and friends with at a glance contact details. “However there’s much more to come and we are already looking for permanent premises to create a drop-in centre for veterans and their families. This is just the start of more support for our deserving veterans. Veterans First Point Ayrshire is a joint project involving a wide range of partners: A (Ayrshire (Earl of Carrick’s Own) Yeomanry) Squadron, The Queen’s Own Yeomanry, Armed Forces Veterans Association, Ayr Housing Aid, Career Transition Partnership (CTP), Combat Stress, Forces Families Support Centre, Gardening Leave, Hands for Heroes, Help for Heroes, NHS Ayrshire & Arran; Public Partnership Forum, RAFA, Royal British Legion Scotland Monkton & Prestwick, RFEA, Royal British Legion Scotland Womens’ Section, South Ayrshire Council, SSAFA Forces Help Ayrshire Branch, Voluntary Action South Ayrshire. Lance Corporal Michael Monaghan, (25), a war veteran who served in Afghanistan with the Queen’s Welsh Dragoon Guards in 2008, played a crucial part in launching Veterans First Point Ayrshire. Falklands veteran and artist John Damari also took part in the launch. 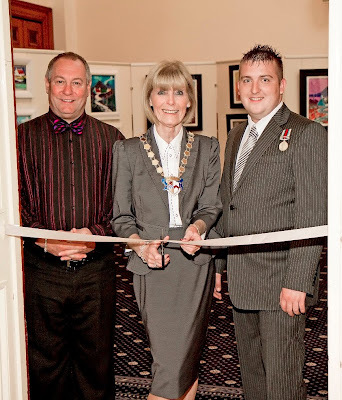 He is actively supporting Veterans First Point Ayrshire by exhibiting his artwork in the Council Chamber at Ayr Town Hall until Tuesday 28 June. Entry is free and his work will be for sale. John is donating 50% of all exhibition sales to the veterans. For more information about Veterans First Point Ayrshire, visit www.south-ayrshire.gov.uk/veterans or call 07527 845122.